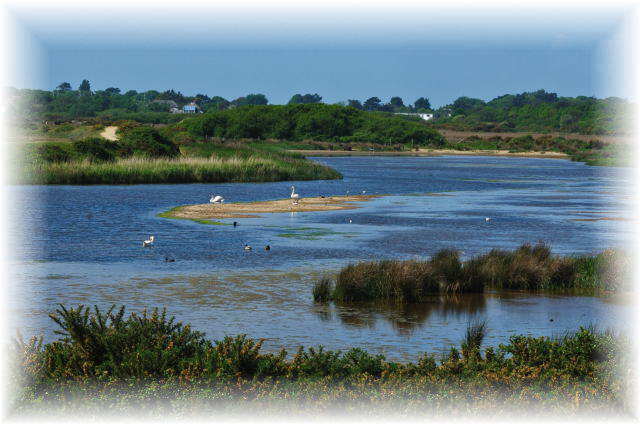 The stretch of coastline between Lymington and Keyhaven is a nationally noted site for rare domestic and migrant water birds. The large areas of water inland from the sea wall are also prime spots for coastal species of dragonfly, including the Hairy Dragonfly. As well as the lagoons there is a balancing pond alongside the track leading from Lower Pennington to Keyhaven. Although this pond is fenced off, the gorse track bordering it is good for resting damselflies and the bordered section of Iley Lane usually has a fine selection of dragonflies feeding due to the close proximity of Avon Water, a river which rises in the bogs of the New Forest close to Holmsley.